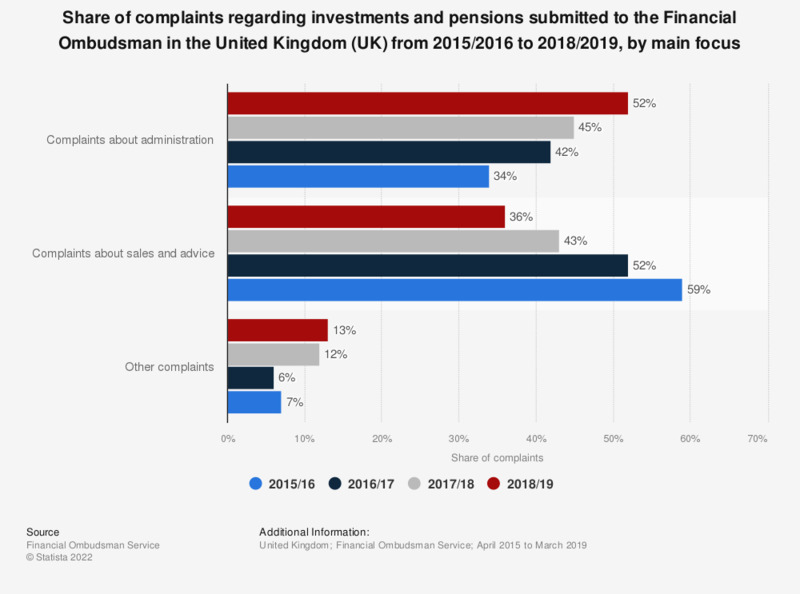 This statistic illustrates the distribution of complaints regarding investments and pensions related services offered by financial businesses, filed with the Financial Ombudsman in the United Kingdom (UK) from the 2015/16 financial year to the 2017/18 financial year. It can be seen that in both 2015/2016 and 2016/17 the largest share of lodged complaints were with regards to sale and advice, with a total share of 52 percent as of 2016/2017. As of 2017/2018 the highest share of complaints regarding investments and pensions were complaints about administration.